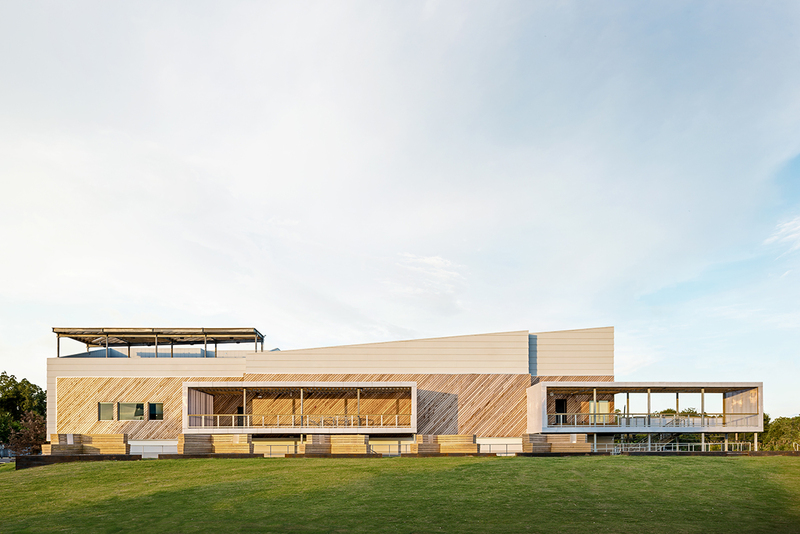 London-based architect Farshid Moussavi has been selected by His Highness the Aga Khan to design an Ismaili cultural center on an 11-acre site in Houston, Texas. This will be the seventh such center in the world and the first in the United States. Moussavi's scheme was chosen over designs presented by a roster of leading architects including Rem Koolhaas, Jeanne Gang, and David Chipperfield. 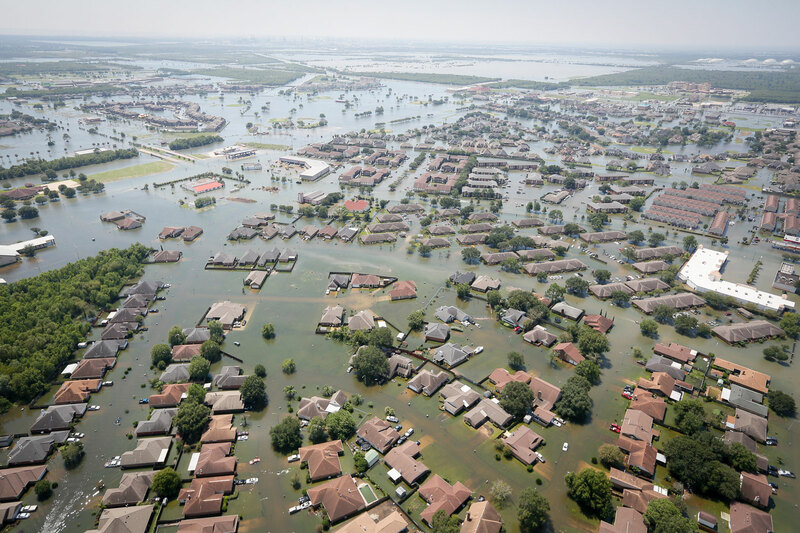 As home to approximately 40,000 Ismaili Muslims, Houston has one of the largest Ismaili communities in the U.S. Like the other Ismaili cultural centers around the world—in Toronto; London; Lisbon, Portugal; Vancouver, British Columbia; Dushanbe, Tajikistan; and Dubai, U.A.E.—built over the past four decades, the Houston center is intended to serve as an educational, cultural, and spiritual institution for the worldwide Ismaili community and the broader public. The centers are characterized by distinctive designs that blend Islamic aesthetic precepts and symbolism with their local contexts. The Houston center will host a space for prayer and reflection, and will offer areas for public programs, cultural exchange, and discussion. 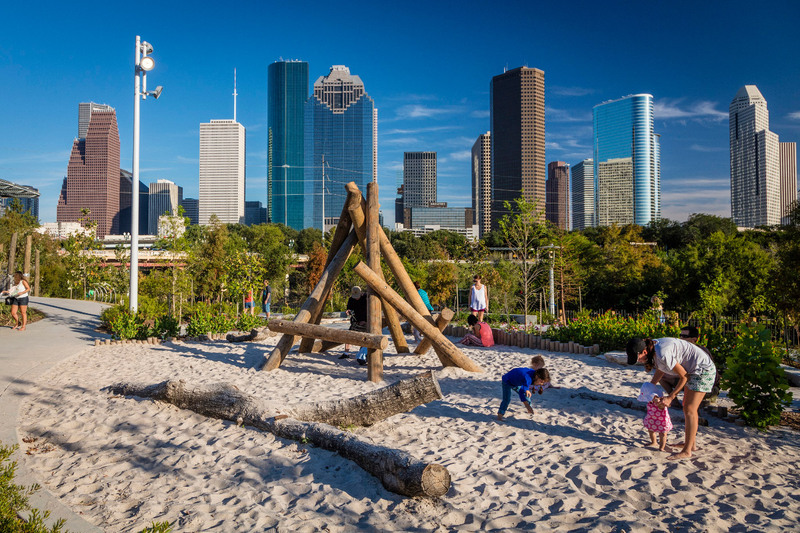 While preliminary renderings for the center have not been released, a spokesperson for the Ismaili Council told the Houston Chronicle that the Center “should be distinctly American and Texan in its approach, but expressive of Houston’s diverse cultures.” The Houston center will be located across from Buffalo Bayou Park, one of the city's main green spaces, and is seen as part of a burgeoning cultural corridor anchored by the Museum of Fine Arts, Houston, along with other planned public art offerings in the park. 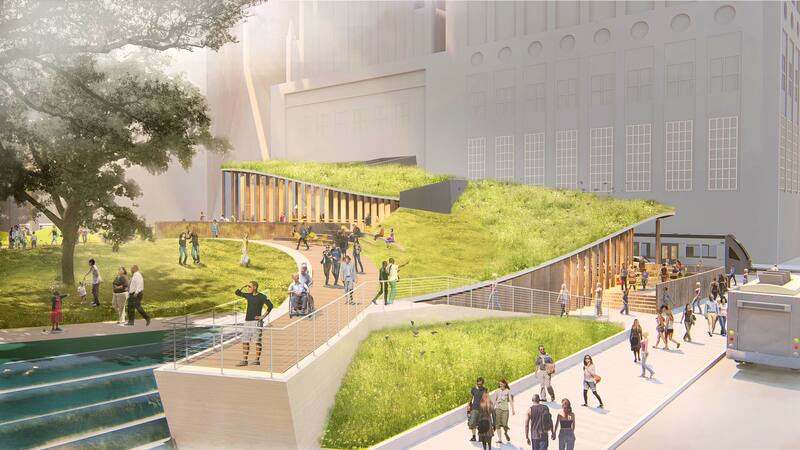 The landscape elements of the center are expected to be an integral part of the overall design, and will be led by Thomas Woltz of Nelson Byrd Woltz Landscape Architects. This will be the second U.S. project for Farshid Moussavi, who designed the Museum of Contemporary Art in Cleveland, which opened in 2012. Her portfolio includes residential complexes, retail flagships, parks, and office towers in Paris, London, and elsewhere in Europe. In her previous practice, Foreign Office Architects, she also designed numerous award-winning projects that ranged from social housing to master plans, including the Yokohama International Cruise Terminal and the Spanish Pavilion at the Aichi International Expo. Moussavi, who is also a professor in practice at Harvard GSD, has previously taught at the Architectural Association in London, Columbia, Princeton, and UCLA. She is a Royal Academician and was appointed an Officer of the Order of the British Empire in 2018 for services to architecture. The design team for the center also includes Hanif Kara, co-founder of engineering firm AKT II and Harvard GSD professor, who will serve as structural design consultant, and Paul Westlake of DLR Group, who is the architect of record. The project is expected to be complete in several years, with the timeline dependent on Moussavi's design. The Philadelphia Contemporary, which up till now has been an itinerant “curatorial institution,” bridging art, performance, and spoken word with various pop-ups and events around its namesake city, is getting a permanent physical home by Los Angeles firm Johnston Marklee. The firm, whose partners Sharon Johnston and Mark Lee artistic directed the 2017 Chicago Architecture Biennial, have worked on a slew of cultural institutions as of late including the recent Menil Drawing Institute in Houston, which opens next week. Following on its nomadic beginnings, the new kunsthalle will be, as Lee puts it, “inextricably woven into the fabric of the city.” The Philadelphia Contemporary, sans building, has programmed cultural events across the city over the past two years, including an ASMR Film Festival, as part of its two week Festival for the People, an arts event that happened over the past two weekends and featured an impressive array of artists, performers, poets, and others from Philly and around the world, including Hito Steyerl, Andrea Bowers, and Lyrispect. The festival also featured selections from Creative Time’s Pledges of Allegiance, which is a series of 16 flags by a number of artists including Jayson Musson, LaToya Ruby Frazier, Tania Bruguera, and Rirkrit Tiravanija. 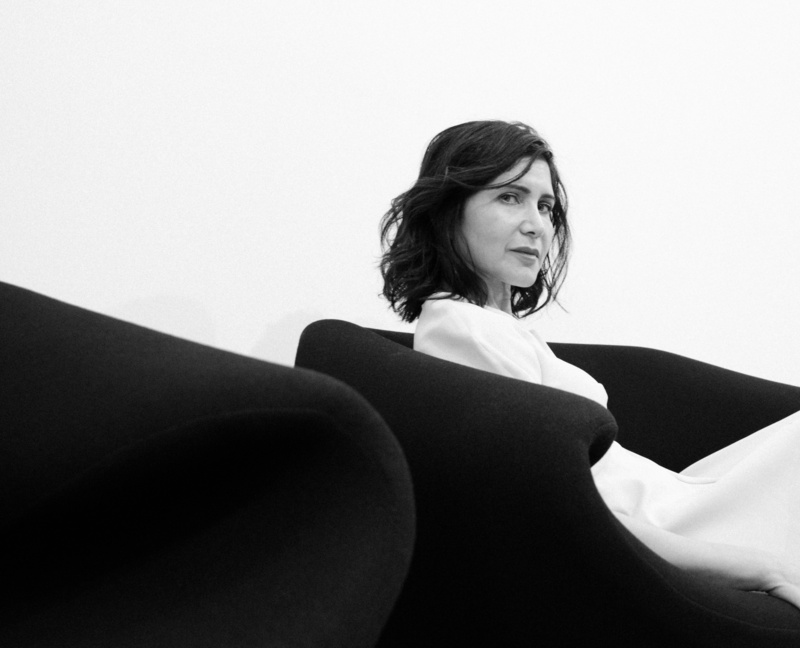 Creative Time’s former chief curator, Nato Thompson, has been serving as the Philadelphia Contemporary’s artistic director. Johnston Marklee was chosen after an extensive search by a 14-member jury comprising representatives from the Philadelphia Contemporary, as well as city officials, members of the arts, design, and literary community, and other local community members. Johnston Marklee will be working with local MGA Partners, the architect of record. The final building design is to be revealed in 2019. The materials are still off-gassing at Goodnight Charlie’s, but every great pair of cowboy boots was new at one point, right? 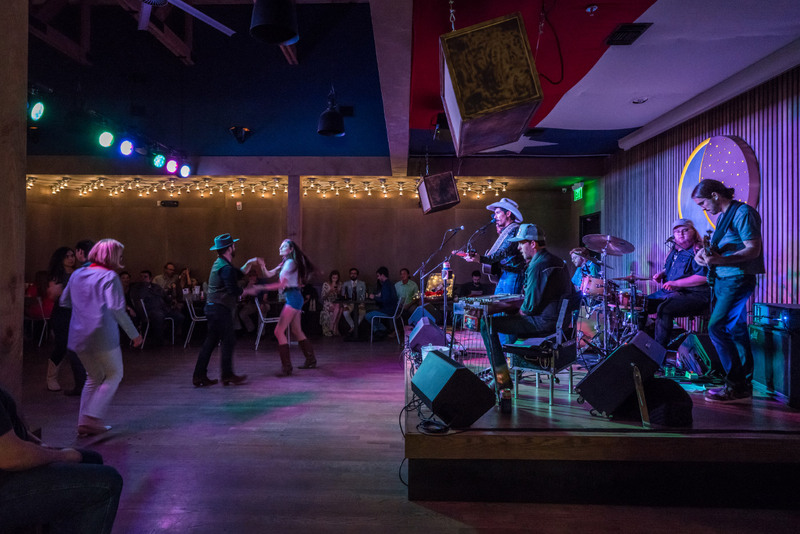 Houston’s newest (and Montrose’s only) honky-tonk is more barn than Bauhaus, but don’t get it twisted, the design elements have a great rhythm. Texas is right here, so says CONTENT Architecture, with its take on the vernacular form both old and new. The rectangular structure, clad in rough cedar, provides a generous cut for the recessed entrance that is as welcoming as an East Texas shotgun house. The cedar is evocative of fenceposts that dot the countryside. Louvers run front to back and then up to the gable over the patio—the de facto front porch. Hefty posts carry the weight vertically, like the jacked-up beach houses of Galveston. 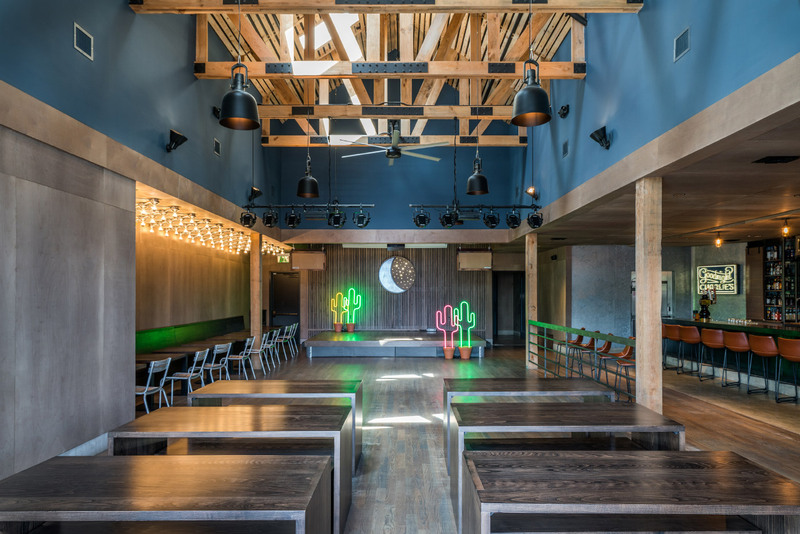 Gin Design Group worked some boot-scootin’ inside, creating a glowing crescent moon for the stage and cheeky Alamo print wallpaper for the restrooms. 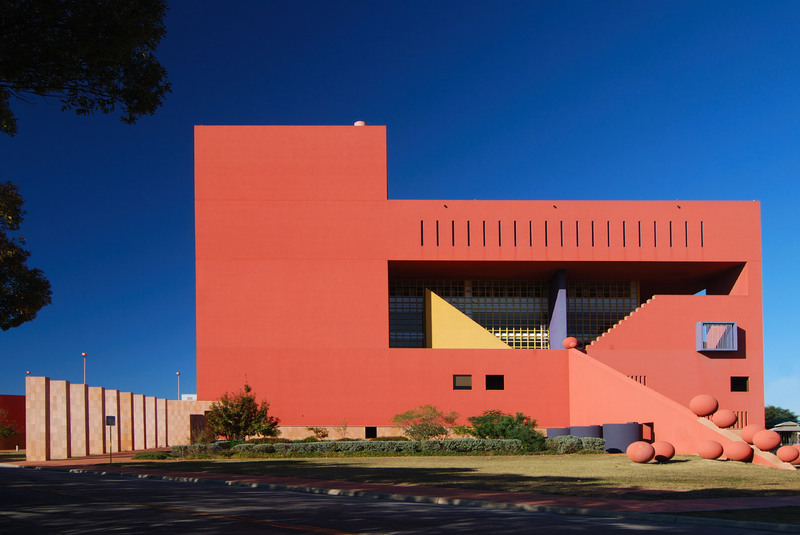 John Saunders Chase, FAIA (1925–2012) was a Houston architect who realized a large body of work in the city, throughout the state of Texas, and around the United States. At its peak, his office had nearly fifty employees in four cities: Houston, Dallas, Austin, and Washington, D.C. Chase, an African American in a profession that has struggled with diversity and discrimination, achieved many historic firsts during his career. His life, as seen via his personal and professional achievements and the work of younger architects who passed through his office, was on display this spring in Chasing Perfection, a two-part exhibit produced by the Houston Public Library. Born in Maryland, John Chase moved to Austin in the late 1940s after receiving initial architectural training at the Hampton Institute in Virginia and serving in the Army during World War II. He applied to graduate school at the University of Texas at Austin (UT Austin) School of Architecture after the Sweatt v. Painter Supreme Court decision in 1950 that fought the “separate but equal” policy of racial segregation in college education. After graduation, no firm would hire him, so Chase established his own practice in Houston, and in 1956, he became the first African American architect to be licensed in the state. Throughout his career, he designed churches, homes, union halls, libraries, high schools, fire stations, and institutional buildings, including much of the campus of Texas Southern University. He was a founding member of the National Organization of Minority Architects (NOMA) in 1970 and received his AIA Fellowship award in 1977. In 1980, Chase was selected by President Jimmy Carter to join the Commission of Fine Arts and was part of that committee during the contentious process of realizing Maya Lin’s Vietnam Veterans Memorial on the National Mall. He was the first African American to serve on this commission. 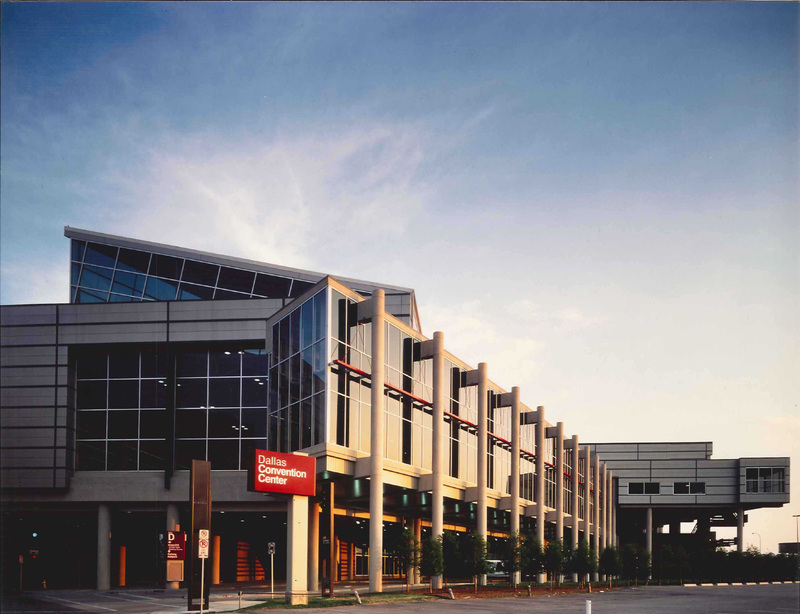 During the 1980s, his office was part of a consortium of local architects responsible for the design of the George R. Brown Convention Center in Houston. Chase is survived by his wife, Drucie, and their three adult children. According to Danielle Wilson, the exhibition’s curator, discussions about the show began in 2009 with Chase’s participation. At that time, his architectural archive had been donated to the Houston Metropolitan Research Center’s Architectural Archives, and his personal archive was in the process of being donated to the African American Library at the Gregory School. Wilson’s father grew up next to the Chases in Houston, so she was familiar with the family and immediately knew that she wanted to work on a show about the architect when she joined the staff of the Gregory School. After Chase passed away, it took a number of years to assemble the parts for this successful exhibition. On the second floor of the Julia Ideson Building in downtown Houston, letters, photographs, and artifacts were installed alongside photographs of built work, architectural drawings, and hand-drawn renderings. Seen together, Chase’s life and work could be understood through the staging of these personal and professional artifacts, sequenced together to tell a holistic life story. Wilson said, “When I think about architects and their work, everything goes all together. I think it’s great when you have that context of both. I think it makes works more powerful.” The room also included a large–scale model and drawings of the George R. Brown Convention Center mounted on a drafting table. At the Gregory School, the work of four architects who worked with Chase is on display and demonstrates the effect his mentorship had on a subsequent generation of African American architects. “When I was focusing on his work and life, it was hard to tell a comprehensive narrative without talking about these men,” Wilson said. Daniel Bankhead, AIA; Darrell Fitzgerald, FAIA; James Harrison; and Wilbert Taylor all worked at various points with Chase and went on to become professional and community leaders themselves. In February, the library hosted a discussion between these architects, in addition to a conversation with Mrs. Chase and her children. Chasing Perfection offered a powerful portrait of a 20th–century American architect through Chase’s life, work, and impact on the profession. Wall text for the exhibit was excerpted from a manuscript titled The Life and Work of Architect John Saunders Chase: You Can Do More from the Inside, by architectural historian Dr. Wesley Henderson with Andrea Lazar. Both worked for two years to conduct interviews with family members, colleagues, and former employees of John Chase. Henderson and Lazar believe that Chase’s life story deserves to be more widely known since very few biographies of successful black architects have been published. They were very pleased to be able to contribute to the show at the Houston Public Library. Chase’s legacy continues to be explored and celebrated. 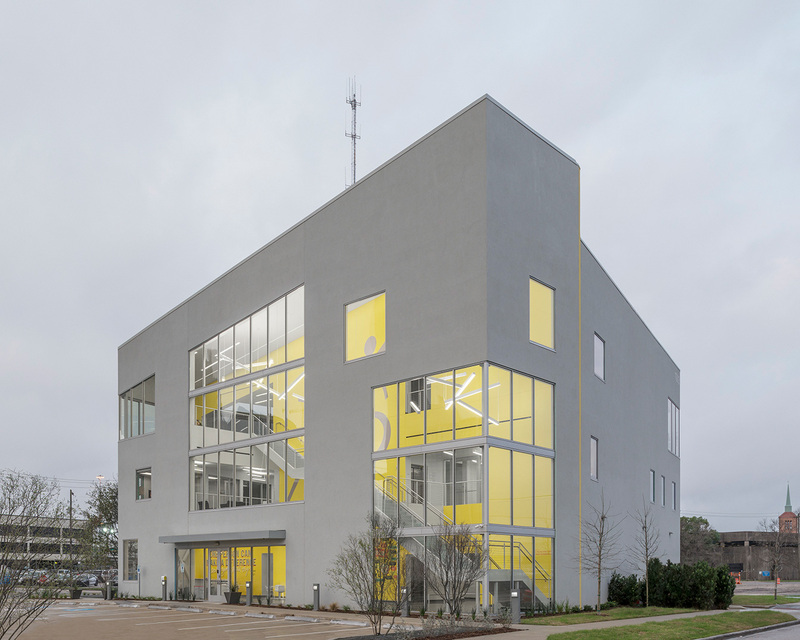 In February, UT Austin announced that it had purchased one of Chase’s early buildings in east Austin to renovate and use as a community engagement center. While Chasing Perfection closed in early June, Wilson says there are already discussions underway about touring the show at other institutions. She also said a brochure from Chase’s firm and drawing supplies from his office were recently acquired by the National Museum of African American History and Culture (NMAAHC) in Washington, D.C. Wilson added that she and Mrs. Chase are “going to go through his personal archives to see what materials might go to the NMAAHC, and the rest will be housed at the African American Library at the Gregory School.” Chase is an important figure among the talented architects who practiced in Houston during the second half of the 20th century. His career opened the door for many architects of color to enter the profession, and he serves as an example of the countless ways in which an architect can effect positive change in the world.